Cell division is fundamental to all life forms: the human body develops from a single cell that divides billions of times to generate all tissue types, and some of these cells continue to divide billions of times every day throughout life. For the moment, however, the molecular mechanisms involved are incompletely understood, and it was unknown until now that chromosomes could play an active role at this step in cytokinesis. In animal cells, division involves mitosis, the separation of chromosomes followed by splitting of the cell into two new daughter cells by cytokinesis. “Division is a complex and robust process that is generally performed flawlessly, but when an error occurs in DNA separation or during cytokinesis, it can be a source for triggering cancer, for example,” said Hickson. It is well known that microscopic cable-like structures, called microtubules, were involved in pulling chromosomes to opposite poles of the cell during the division process. “At this time, microtubules physically separate the chromosomes via their central kinetochores while other microtubules signal to the cortex of the cell where its equator is, i.e., where division will take place,” Hickson explained. Furthermore until now, it was believed that the chromosomes only played a passive role: that they were pulled by the microtubules and didn’t affect cytokinesis, but this is not the case. Initially working with the cells of fruit flies using powerful genetic tools and sophisticated microscopy, the research team discovered that chromosomes emit signals that influence the cortex of the cell to reinforce microtubule action. One of the key signals involved that the researchers identified acts via an enzyme complex – a phosphatase known as Sds22-PP1 – which is found at the kinetochores. 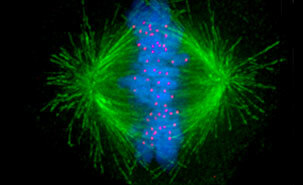 The discovery of this mechanism is a significant breakthrough in advancing knowledge about the cell division process. “We have been watching cells divide for more than 100 years, but we continue to seek to understand the molecular mechanisms involved. This is important because cell division is so central to life, and to certain diseases,” said Hickson, who has devoted the last 15 years of his research life to cell biology. In fact, all cancers are characterised by unchecked cell division, and the underpinning processes are potential targets for therapeutic interventions that prevent cancer onset and spread. “But before we get there, we must continue to expand our knowledge about the basic processes and signals involved in normal cell division to understand how they can go awry, or how they can be exploited..Also different cell types in the body, and even in the same tissue, do not always divide in exactly the same way. For example, stem cells divide asymmetrically, while most other cells divide symmetrically, and we still do not understand these differences in molecular terms. With the help of robust and well-characterised genetic models, such as the fruit fly, we will get there. Ultimately, this could help the rational design of more specific therapies to inhibit the division of cancer cells, ideally without affecting the healthy cells that are dividing at the same time,” Hickson said. 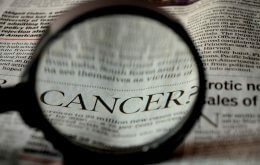 The researchers acknowledge support from the Medical Research Council, the Canadian Institutes of Health Research, the Canada Foundation for Innovation, the Fonds de Recherche du Québec-Santé, the Cole Foundation, INCa, Cancer Research UK, and the BBSRC (BB/K009001/1). Gilles Hickson, a professor at the University of Montreal’s Department of Pathology and Cell Biology.